A Division Bench of the High Court on Wednesday directed the authorities to publish a list of unrecognised schools so that parents would not be taken for a ride. 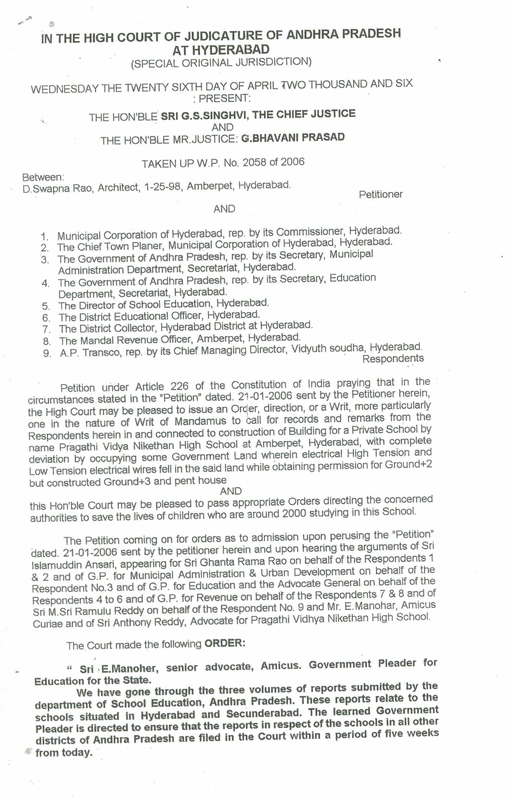 The Bench was dealing with a petition wherein a complaint was made regarding safety of school buildings at Amberpet. 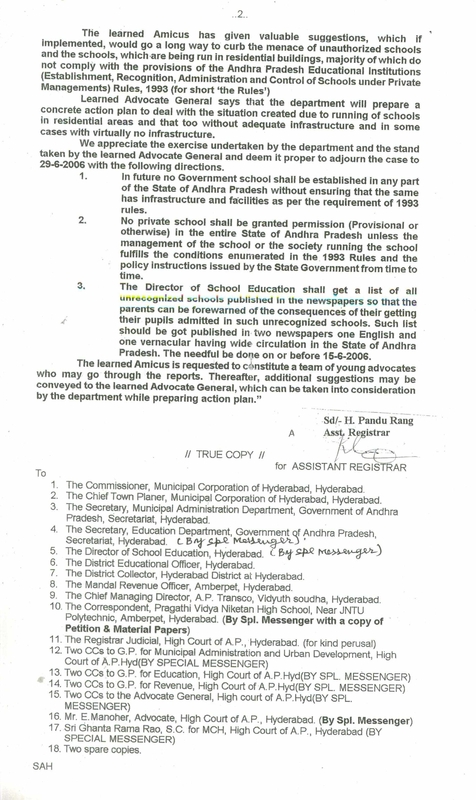 The Bench made it clear that all schools, including Government schools, must be made to adopt norms. The case is listed to June 6.